Vaya is a home decor textile brand launching later this year in India. The graphic lines of the logo, when tessellated create a variation of a herringbone pattern, paying homage to an iconic textile pattern. The colours are kept fairly monochrome, to allow the fabrics to stand out - but there is an allowance for the logo to take pops of colour to match the collection colours. 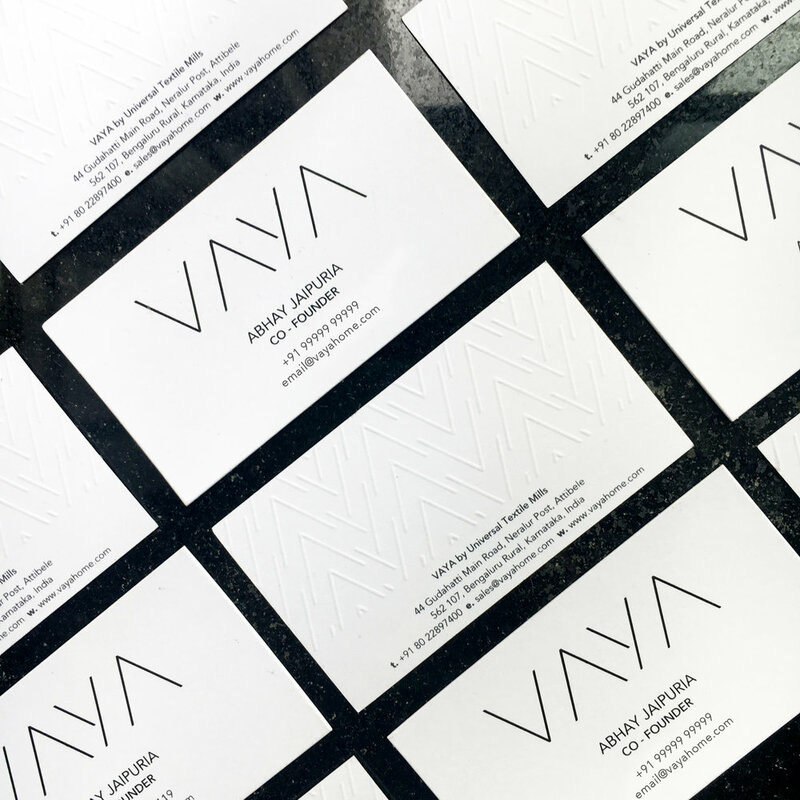 We chose the name Vaya as it’s Sanskrit for weaving, has a musical and rhythmic quality to it, much like the act of weaving, and to nod to the brand’s Indian heritage.